If you would like to apply for a food vendor space, please send photos and a brief description of your products to the Kentucky Wool Festival, 48 Concord Caddo Rd, Falmouth, ky 41040. Attention Food Chairperson. If you have any questions, please contact the Food Committee. The Kentucky Wool Festival is a juried craft show. ‘Juried’ means you must submit photographs which are reviewed by a committee and your work will be accepted into the festival based on technical skill, creativity, the medium, and/or other requirements. All items must be hand-crafted. No commercially manufactured goods. 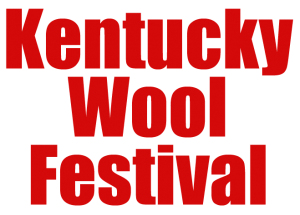 If you would like to apply for a craft vendor space, please send photos and a brief description of your products by May 1st to the Kentucky Wool Festival, 48 Concord Caddo Rd, Falmouth, KY 41040. Attention Craft Chairperson. You will be notified by June 1st about the status of your inquiry. If you have any questions, please contact the Crafts Committee. For questions about Wool Festival Entertainment, please contact the Entertainment Committee. If you have any other questions, please feel free to email us by using the form below or call (859) 951-8025 .